Was this our best Prayer Workshop yet? I guess you’d expect us to brag on our 22nd Annual Prayer Workshop this year. Right? Yes—but this one was special. First of all, the speakers did an excellent job, especially Dave Butts as he taught us so much about our goal of becoming a ‘House of Prayer’. You can get more info about Dave’s seminars at his ministry website – HarvestPrayer.com. I highly recommend his prayer seminars. And our guests enthusiastically told me how much this Worksh op means to them. Many of them make the trip each year to hear exceptional speakers, pray together and network with others who are praying for spiritual revival in this broken world. As for the figures, we had six states represented—Arkansas, Connecticut, Indiana, Louisiana, Mississippi and Texas. 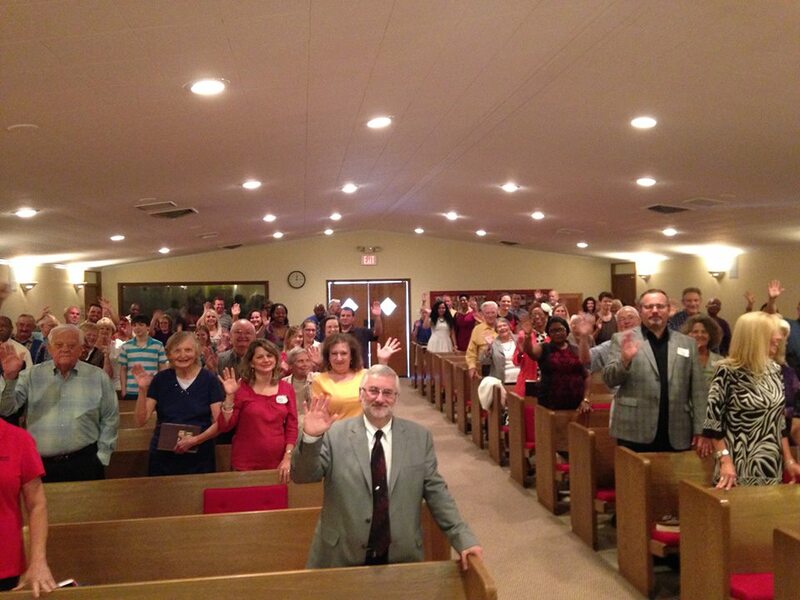 Sunday’s service, which included our 50th Homecoming, was the highest Sunday morning attendance we’ve had since 2007. So thanks to all the wonderful servants who helped put this Workshop among the top events we’ve ever had! You can see more at our church website or at our Facebook page. Did you ever wonder about that? Why did the disciple say “TEACH us“? Doesn’t prayer come naturally, especially to disciples… especially during a crisis? Emergency praying may come naturally, but praying effectively is something we’re taught. That’s why our church has hosted a Prayer Enrichment Workshop for the past 21 years – and we’ll do another one on September 11-13, 2015 with several speakers. The theme: “Building Prayer Into The Life Of Your Church”. David Butts. Chairman of National Prayer Committee and President of Harvest Prayer Ministries. Victor Knowles. Founder of Peace On Earth Ministries and Editor of One Body Magazine. Albert Lemmons. Seminar Teacher who has spoken at more than 600 prayer events on five continents and President of Prayer Matters. J.J. Turner. Preacher, Church Elder and President of Jeremiah Institute. Check out all the details at our website where you can view and print the Workshop brochure.